Win one for the Kids! 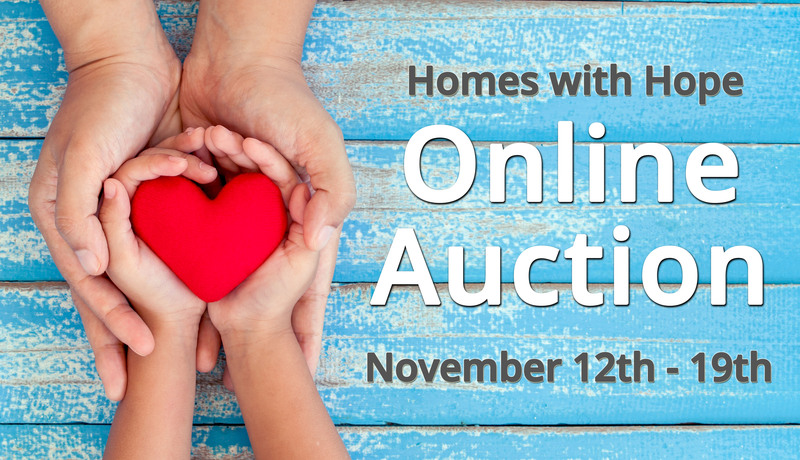 children find good homes and WIN amazing items in our ONLINE AUCTION. entering your mobile number and credit card info. Technology. Click on the link in the confirmation text message, and it will direct you to your personal online bidding page. To participate on your Ipad or Computer, you will select SIGN IN at www.qtego.net/qlink/homeswithhope and enter your personal pin that you received in your confirmation text message. Click on any items to see a photo, read a description and place your bid throughout the whole week before the auction closes on Nov. 19th. Please spread the word to your friends and family, far and wide! meeting our 2017 budget needs!